I have no idea how many #Friday Fragment’s posts I‘ve shared. I know it is more than three years worth because I remember sharing about my youngest granddaughter’s birth and she turned three in June. Please welcome guest ranter, Mrs. 4444. Mrs. 4444 is the host of the oh so popular Friday Fragments. She is a teacher, a mother and is writing her first book. 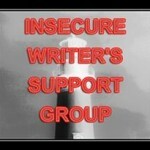 Thats right I am Insecure #IWSG and Do you have a rant to share? September always signals to me that it is time to stop goofing off and to get serious. This must carry over from childhood or actually well into adulthood when September was all about school. I actually did not do too poorly over the summer. I did a lot of writing but now I have some serious deadlines coming up. I have a lot of polishing to do.